The Vulture is one of Spider-Man's most evil and cold blooded foes. The Vulture was the 2nd super villain encountered by Spider-Man after the Chameleon. 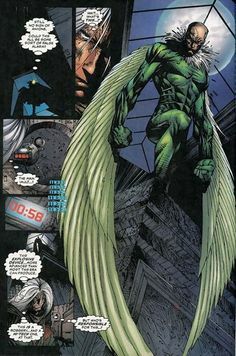 The Vulture has been featured in many comics, and cartoons. The Vulture is rumored to be the main villain in the film Spider-Man Homecoming played by Michael Keaton. Adrian Toomes is initially a legitimate businessman and engineer. As part of business he creates a super flight suit / harness that grants its user super strength. Excited about his new invention he goes to show it to his business partner. In the empty office of his business partner Toomes learns that his partner has extorted money from the business and the business has failed. Angry Toomes uses the suit to wreck the office. He leaves with the suit to use in a new career as a super villain. The Vulture is the first villain that Spider-Man attempts to take pictures of to sell to the Daily Bugle. In his first battle with the Vulture he is beaten due to being distracted over the camera. The Vulture dropped Spider-Man into a water tower where he thought the sides would be too slippery for him to climb. Spider-Man however not only escapes but creates a device that shuts off the Vulture suit. He uses this device in the next confrontation as the two are airborne and they crash into a roof. After the crash the Vulture is unconscious and arrested by the police. In the first iteration of the Sinister Six the Vulture is one of the main members. As Spider-Man battles through the Six the Vulture is the last villain before Doctor Octopus. The Vulture slightly forces Spider-Man to take off his webshooters but is still defeated when Spider-Man uses his own weapon a lasso against him. He then tells Spider-Man where the lair of Doctor Octopus was. The Vulture has many schemes to increase his longevity, gain wealth and take vengeance on those who steal his technology. He later is diagnosed with cancer that is thought to be caused from his use of the Vulture suit. Fearing mortality he rushed to Aunt May begging her forgiveness for the killing of Nathan her former boyfriend. May refused to forgive the Vulture and he was returned to prison. The Superior Spider-Man attempted to use the Vulture and other members of the Sinister Six as brain washed heroes called the Superior Six. However, the Vulture and the others eventually freed themselves and began to wreak havoc before eventually being stopped. The Vulture is rumored to be the main villain in the film Spider-Man Homecoming played by Michael Keaton. At San Diego Comic Con a few new pieces of information came out. First there will likely be three villains in the film. The current thinking is that the villains will be Vulture, Tinkerer and the Shocker. Jon Watts did a panel that revealed some of the Vulture concept art. The Vulture has a technologically based origin using tools and gadgets left behind by extraterrestials. This is similar to his comic origin where the Vulture is kind of a technological based mutant. His suit will be more mechanical looking and feature a helmet and mechanical legs that have talons on his feet. He also seems to have green glowing eyes that might be some form of night vision. The Marvel Legends Vulture action figure is based off the new look of the Vulture used in the film Spider-Man: Homecoming. This version of the Vulture is a little darker and mechanical in appearance than his classic look. I think he looks more formidable and sinister than his previous incarnations. This is the version of the character played by Michael Keaton in the Spider-Man: Homecoming film. One thing that did strike me when I look at the figure is that it does contain more green than I thought it would. I think this was meant to be a nod to the classic look of the Vulture which was almost all green. 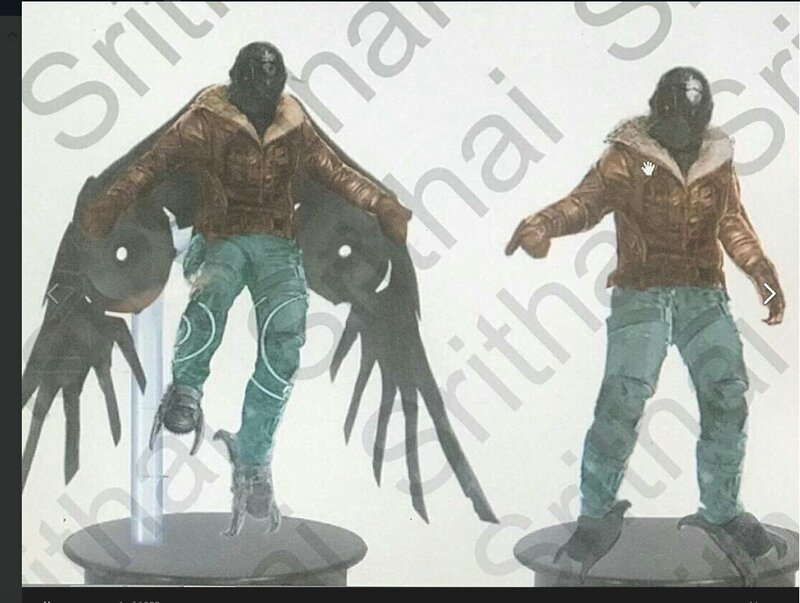 The new Marvel Legends figure of the Vulture is 6"s tall. The Marvel Legends figure is packed with detail and looks fantastic. You can see the wings and jet engines used by the Vulture to fly. On the back of the jump pack you see a light blue glow from what I assume is a kind of jet engine. His torso has the bomber jacket, with the nuanced details of zippers, pockets and the fluffy collar. The figure also comes with a stand so it can be set up in case or on a shelf. You can see ornate pouches along his belt. The wings and figure caste a large shadow and look really imposing. I really love the look of the figure it may actually be my favorite Spider-Man villain action figure of all time. How much I like this figure really caught me off guard. If more Vulture toys look like this I may have to cut this out and make it its own post.